In a statement to Daily Mail Australia on Tuesday, a spokesperson said it has forwarded all complaints to the 'licensee for consideration'. 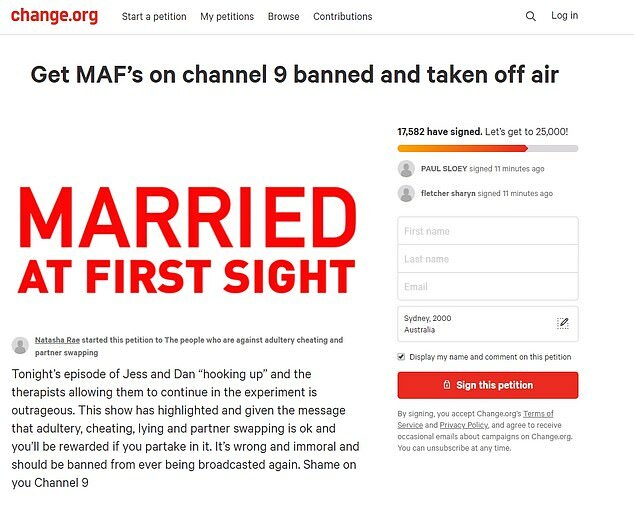 'The ACMA has recently received complaints about the [Married at First Sight],' the statement read. ACMA is an independent government agency which monitors the regulation of broadcasting, radiocommunications, telecommunications and online content through legislation, regulations, standards and codes of practice. 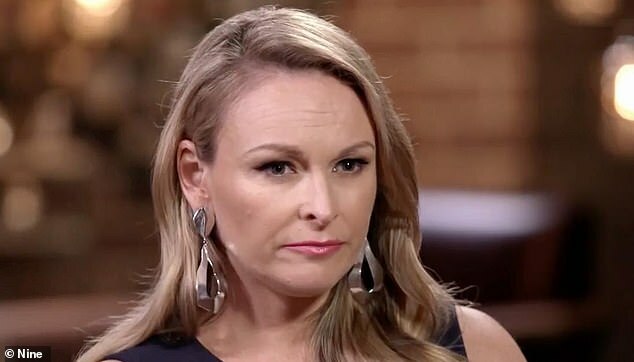 The complaints come amid growing backlash over 'bride' Jessika Power's 'affair' with Dan Webb. The 'cheating' pair pursued a secret romance despite being married to other people - Mick Gould, 31, and Tamara Joy, 30. On Sunday, a change.org petition was launched after relationship experts, Mel Schilling, Trisha Stratford and John Aiken allowed Jess, 27, and Dan, 35, to stay in the experiment after confessing to their 'affair'. '[Our role is to observe] and it's an experiment, and this has happened within the experiment,' Trisha told Mel and John. During the commitment ceremony, Jess and Dan told the group that they had secretly met and kissed behind their spouses' backs and that they had fallen for each other. Both Mick and Tamara were reduced to tears and left the experiment. During Monday night's episode, a racy bed scene involving Jess and Dan outraged viewers. The graphic scene showed the tattooed car broker standing in his underwear and crawling into bed with the admin assistant. The 25-second clip showed the frisky pair passionately kissing under the covers, before Dan reached over and turned the light off. Moments earlier, the single dad revealed his struggle to fight his sexual 'urges'.